The euro zone economy might benefit if governments invested more, but a new study shows that weak spending by companies has been a bigger drag on growth. The problem is much easier to diagnose than to cure. Special lending programmes and tax breaks might help. Wads of 50 euro banknotes are stacked in a pile at the GSA Austria (Money Service Austria) company's headquarters in Vienna July 22, 2013. 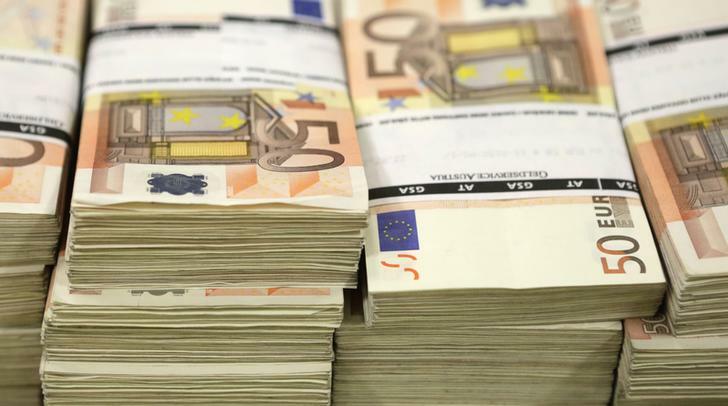 Annual investment spending in the euro zone is 180 billion euros lower than necessary for a healthy economy, Berlin-based think tank DIW estimates in a study released on July 2. The annual gap stands at 2 percent of the region’s GDP. The think tank calls for a temporary pan-European investment fund that supports investment of small and medium-sized enterprises.